Well June, you flew by. Between crazy microbursts and roadtrips that started out as a 3 day trip and extended themselves into a week and a nice case of Lyme’s Disease, June became a blur. However, the oakleaf hydrangea definitely sprouted some new leaves. Every other plant I’ve put in recently is struggling thanks to no rain and hot temperatures for a few weeks now. They’ve been babied and watered as much as the hydrangea but this is the only plant to show the love. 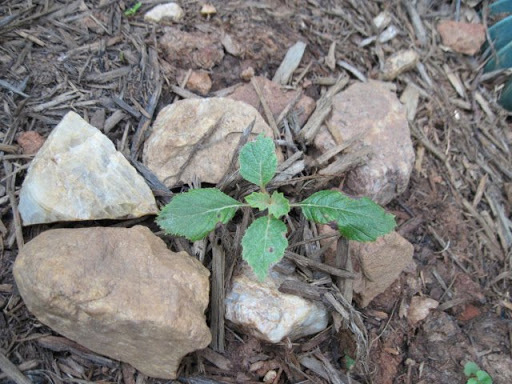 Maybe because this plant knows I was dared I couldn’t make it grow…. Pretending we’re not in a heat wave. that plant knows better than to not grow…the wrath of Becky the babe would be all over it!